We’ll be taking a break to get away from and get caught up at our day jobs. Regular posts will resume on Monday, March 26. For those many readers who will be wandering around despondently until our return, spend some time with the artwork below and ask yourself what it might add–justly, misleadingly, or insightfully–to the idea that photojournalism is a public art. If you get it worked out, do let us know. 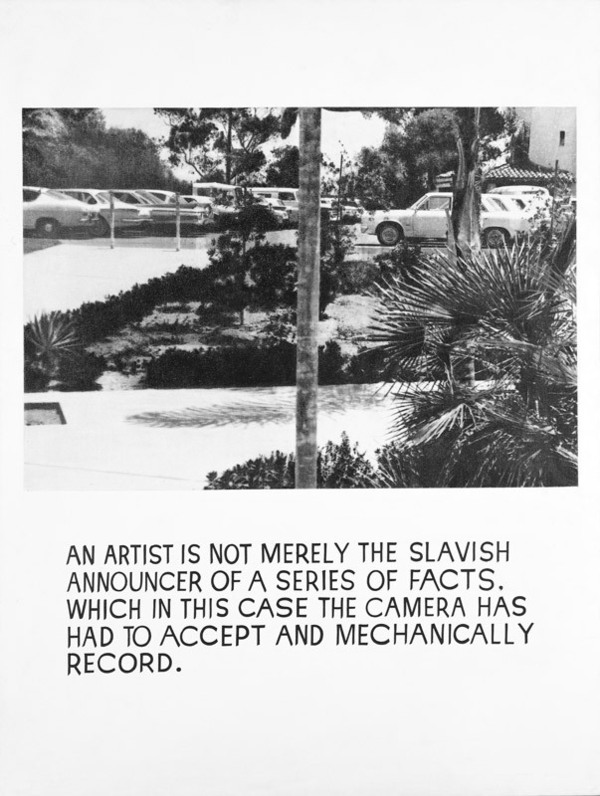 John Baldessari, “An Artist Is Not Merely the Slavish Announcer . . .,” 1966–68. Photoemulsion, varnish, and gesso on canvas, 59 1/8 × 45 1/8 in. (150.2 × 114.6 cm). Whitney Museum of American Art, New York; purchase with funds from the Painting and Sculpture Committee and gift of an anonymous donor 92.21.